Screenshot/MySpaceA screenshot from Omar Mateen’s MySpace page. A local TV station in Orlando says the man who killed 49 people at a LGBTQ nightclub early Sunday called the station to claim responsibility for the attack before he died in a shootout with police. 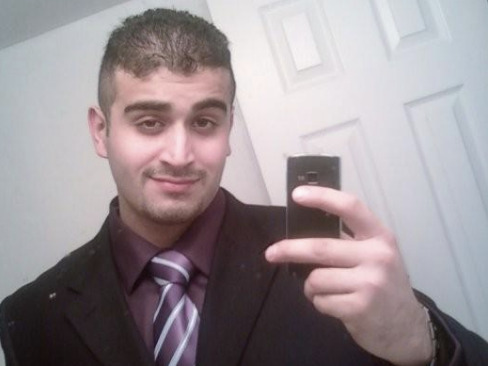 The caller, who claimed to be the gunman, 29-year-old Omar Mateen, told the producer he spoke to that he committed the attack in the name of the terrorist group ISIS. News 13 producer Matthew Gentili said he took the call about 45 minutes after the shooting started. He said he committed the attack for ISIS. He then reportedly started speaking in a foreign language, thought to be Arabic, in which he sounded fluent, according to Gentili. Gentili asked if there was anything else the caller wanted to say, and the man responded “no,” and then hung up. After his shift ended, Gentili was interviewed by the FBI, he said. News 13’s managing editor reportedly traced the phone number the call came from back to Mateen. Mateen also reportedly pledged allegiance to ISIS (also known as the Islamic State, ISIL, or Daesh) in a 911 call placed during the attack. He reportedly expressed support for terrorists with Al Qaeda affiliations as well. While Mateen claims he carried out the attack in ISIS’ name, it’s unclear whether he actually had any communication with the terrorist group. But it still fits in with ISIS’ strategy of inspiring its supporters to mount attacks in Western countries without any support from the group’s leadership.